In an elite university legendary for developing powerhouse athletes, Tony Purler shines as an icon for Husker wrestling fans. However, his NCAA Championship title was only one highlight among many in his stellar career. Tony was the cornerstone of the only Husker team to surpass Nebraska’s phenomenal successes in the 2008 and 2009 NCAA tournaments. 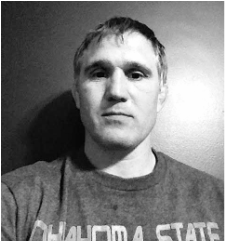 Tony is renowned for leading a six-man crew of All-American Huskers in 1993, a season that he capped off by winning the National Title in the 126-lb class bracket. His dedication and drive helped inspire the team, capturing our highest-ever team ranking at #3. This successful season helped provide the springboard for Olympic Champion Rulon Gardner’s international accomplishments, and the 1993 team holds the Husker’s single-year record for the most All-American honors. Tony compiled a record of 35 wins, with only 2 losses throughout this season.